It's motivated by concerns about children popping the tasty-looking products into their mouths and getting sick. DENVER – A ban on gummy bears and other edible marijuana products shaped like animals, people and fruit takes effect this month in Colorado – a change aimed at decreasing the likelihood small children will mistake them for a favorite treat. The marijuana industry isn’t alone in trying to anticipate what will catch a grabby toddler’s eye. People call Colorado’s poison control hotline thousands of times each year when kids swallow household cleaners and prescription medications – far more often than they call about marijuana products, said Larry Wolk, the state health agency’s executive director. 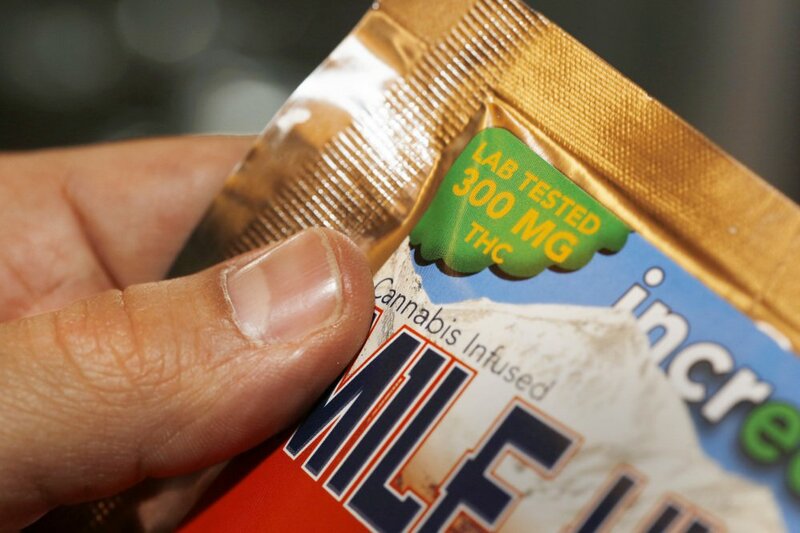 At Colorado Harvest Co., a Denver dispensary, CEO Tim Cullen displays the result: a chocolate bar wrapped in a paper sleeve that’s difficult for even an adult to slide off; cookies stamped with “T-H-C” in edible dye; and colorful gem-shaped lozenges sold in a white vial capped with a childproof top. Customers in Colorado pot shops also will notice a bolder disclosure on product labels for the amount of THC – the compound in marijuana that creates users’ “high” feeling.